There's no better combination in Summit County real estate than living on a stream next to a ski area. 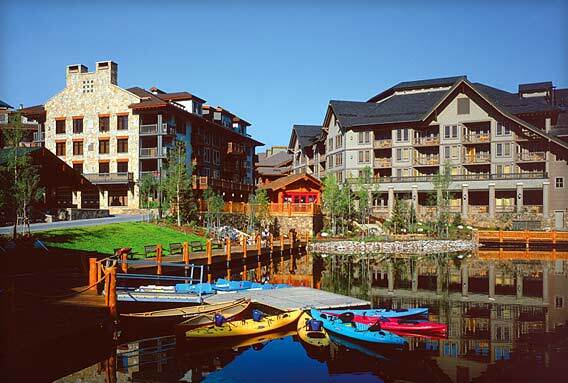 Ten Mile Creek runs through Copper Mountain, making it the perfect serene location. Union Creek Townhomes West boasts luxury townhomes located on the banks of West Ten Mile Creek. Other condos in the main village are adjacent to West Lake, a pond that turns into a skating rink in the winter. Miles of paths wind through the village, as well as through wetlands and along Ten Mile Creek, so no matter where you buy within Copper Mountain real estate, you'll be close to excellent hiking near streams. Copper Mountain lake riverfront creek property for sale, Colorado Mountain real estate listings. View all Waterfront homes in Copper Mountain area.